For use on table, floor, or against wall. 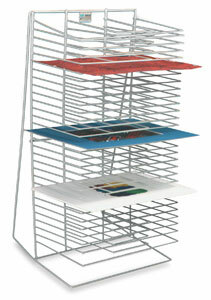 Thirty large shelves with wire supports for rigid drying space. Welded construction with baked enamel finish. 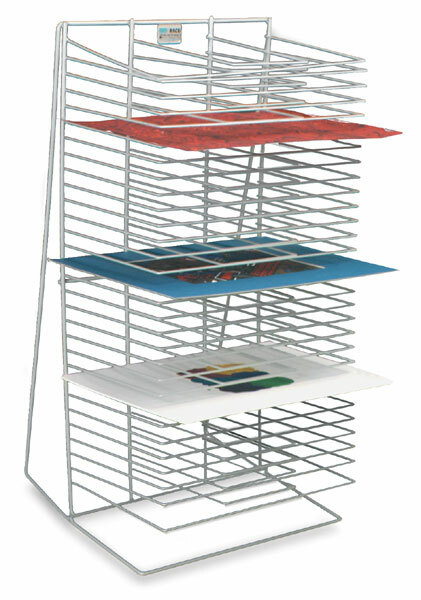 Shelf size, 12" × 18", with 6 x 10" mesh. Assembled. Also door-mounted rack. Similar to the Single Side Rack, but with mounting hardware for a door or wall.